Mega star Mammootty is tight packed with a handful of projects in 2013 with no time left to divide it to other directors. After his committed projects like Kunjanathante Katha, Kadal Kadannoru Mathukutty, Daivathinte Swantham Cletus, Kunjali Marakar, The Gangster and Black Investigators, Mammootty would start the new year leaving a couple of months for K.P. Suveeran who would directing his first commercial film in malayalam based on the novelette written by N S Madhavan, a well known contemporary malayalam writer. His work titled 'Mandodari' will be taken up with the same name. Based on a story of Ramayana, the movie focuses on the life of wrestlers in Goa. As like Ravanan abducted Sita, the movie revolves around the life of a wrestler who kidnaps a beautiful lady. The name of Ravana's wife is Mandodari. Mammootty will play the hero character which do has the characteristics of Ravanan. 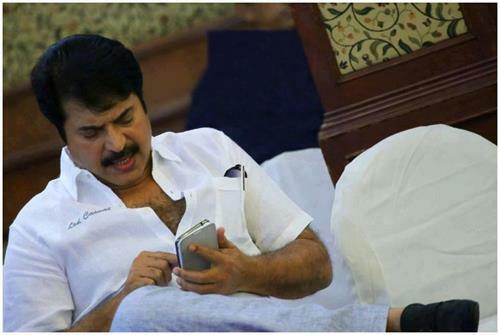 After completing his committed projects, Mammootty will join Suveeran for his venture in first quarter of 2014. Meanwhile Suveeran is currently busy with a youth oriented subject with youngsters in lead. Suveran's previous movie titled 'Byari', which was the first feature film to be made in the language, was screened at various film festivals won the National Film Award for Best Feature Film. Malayalam actress Mallika too got a special mention from the jury for her performance in the film. Even though Suveeran planed a project with Mohanlal in lead, due to some reasons, it didn't move forward. The shooting of Mandodari will be exclusively carried out at Goa. Added to it N S Madhavan's another short fiction Thiruth (Blue Pencil) will also be made into a movie. The incidents which happen in India after the fall of Babari Masjid are being reveled while the movie will be produced and directed by B Unni Krishnan. Mammootty is having a fruitful year with a number of movies with challenging characters. With Bavuttiyude Namathil, Kammath & Kammath performing well in the box office, his recent release Immanuel is well appreciated by the family audience treating it as a Vishu treat.